You have your room and your tickets. You have probably gotten a link to My Disney Experience, and instructions to customize your Magic Bands. Here's what's going on: Magic Bands are wrist bands which have RFID chips. They allow you to access your Disney account at Disney World. Your Disney account is the other end of the My Disney Experience link. You can store resort reservations, tickets, dining reservations, plans and fast passes on your Magic Band. When you stay onsite, you can also pay for things with your Magic Band (then charged to your room account), and use it as the key to open your room door. 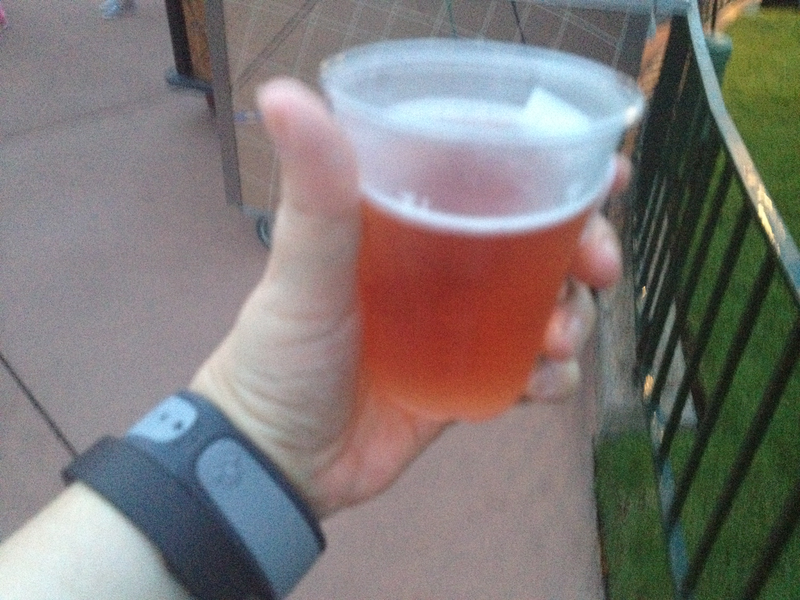 If you don't stay onsite (I wouldn't recommend this), you can buy a MagicBand and link it to your account. So, you still have the convenience of having all your park media at your wrist. The Magic Band has two modes: contact (you have to touch things with it -- this applies to almost everything), and proximity. The proximity mode uses a battery, so there is a shelf life on Magic Bands. Don't buy one now for your trip in 5 years. Most functions use the contact mode (for paying for things, you also need a PIN). The one that doesn't is the bits where Disney keeps track of you. This is helpful for emailing you later to take a few last shots at selling you your ride photos (I never look good in mine, so that's a no-go. Sorry, Disney). This is what a Magic Band (grey) looks like next to a FitBit, on the wrist of a hand holding a beer in Epcot.